To focus on increasing conversion and driving sales online. The Nina Campbell digital experience was too fragmented. 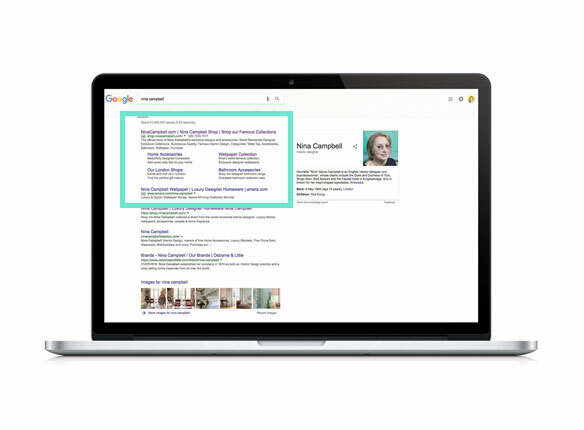 Confusing site structure, too many sites and poor conversion and not fully delivering on the brand experience. Halo created an 18 month plan to update and improve the customer experience.The Nina Campbell digital experience was too fragmented. Confusing site structure, too many sites and poor conversion and not fully delivering on the brand experience. Halo created an 18 month plan to update and improve the customer experience. 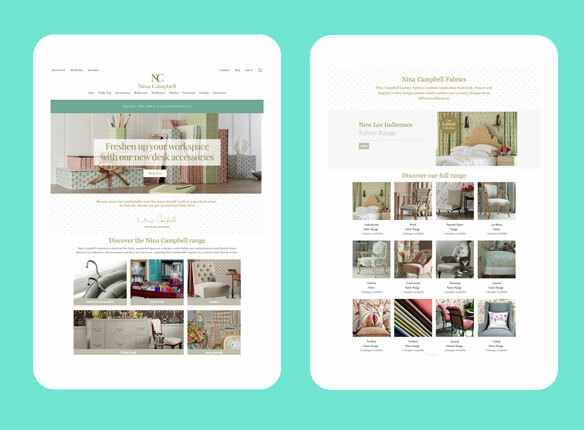 The Nina Campbell website is built in Magento. The front end user experience was not helping with conversion. Halo re-purposed the content and improves on the brand look and feel of the site. This included better categorisation, landing pages and product landing pages. Nina Campbell partner with Osborne & Little to sell and distribute the Nina Campbell fabric and wallpaper collection. Every year Halo plan, coordinate, art direct and photograph the range. Nina Campbell has an extensive range of bespoke furniture which requires one off sales support for every piece. 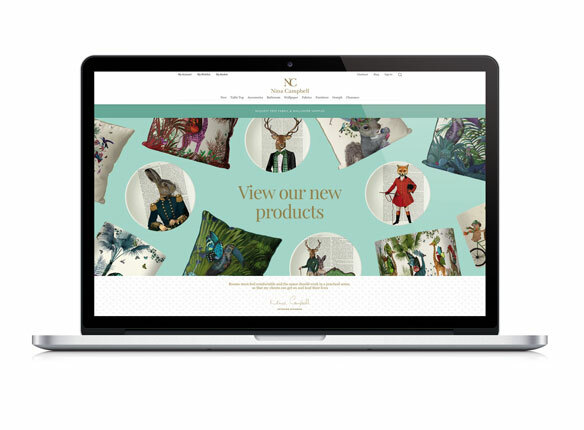 Halo are also responsible for managing, designing and promoting the Christmas range online and through a printed brochure mailed to the database. 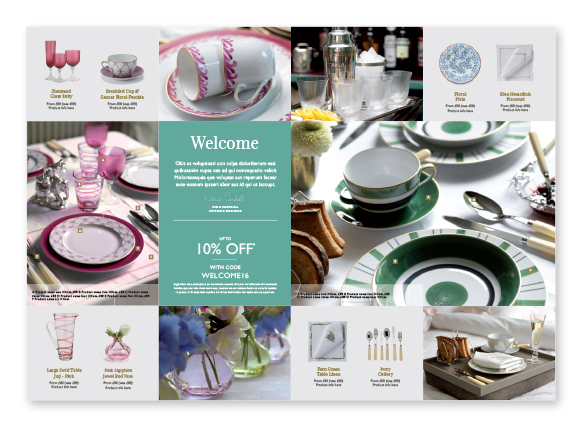 Nina Campbell has always had high traffic due to their strong brand awareness and offline activity. However, when we took the site over the sales and conversion rate were too low. The result is a month on month increase across the board, in sale, conversion and the amount of products being purchased. We extended the PPC campaign from brand to include fabrics and wallpapers. This included paid social and re targeting. This has indirectly lead to a large increase in fabric and wallpaper purchases within the physical store environment.